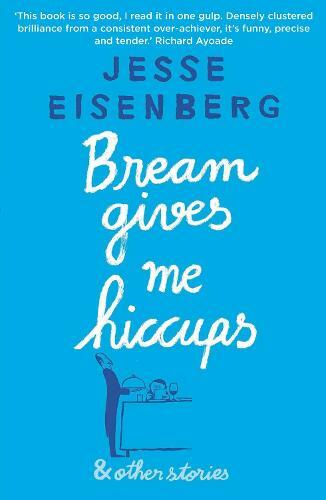 Bream Gives Me Hiccups: And Other Stories is the whip-smart fiction debut of Academy Award-nominated actor and star of The Social Network, Jesse Eisenberg. Known for his iconic film roles but also for his regular pieces in the New Yorker and his two critically acclaimed plays, Eisenberg is an emerging voice in fiction. Taking its title from a group of stories that begin the book, Bream Gives Me Hiccups moves from contemporary L.A. to the dormrooms of an American college to ancient Pompeii, throwing the reader into a universe of social misfits, reimagined scenes from history, and ridiculous overreactions. United by Eisenberg's gift for humour and character, and grouped into chapters that each open with an illustration by award-winning cartoonist Jean Jullien, the witty pieces collected in Bream Gives Me Hiccups explore what it means to navigate the modern world, and mark the arrival of a fantastically funny, self-ironic, witty and original voice.